An ordination is scheduled on Sunday. --- things we don’t get to see in Presbyterian churches except at ordinations. Though the phrase “shall kneel” appears, the kneeling part of the ceremony is explicitly made conditional. The current Book of Order says “those to be ordained shall kneel, if able.” The requirement to kneel is conditional rather than optional. If the person to be ordained is able to kneel, then he or she shall kneel. The members of the church having answered these questions in the affirmative, those to be ordained shall kneel, if able, for prayer and the laying on of hands by the session. Those previously ordained ordinarily shall stand, along with the congregation, if able, for the prayer of installation. The session may invite other ruling elders and teaching elders to participate in the laying on of hands. “The imposition of hands in the ordination of a Church officer, is a rite not only lawful to be retained; but it seems by a divine institution directed and required; so that although the call of a person to Church office may not become null and void, where that rite may have been omitted, as it is in the Seniors and Deacons in most of the Reformed Churches; yet we cannot approve the omission of it. A ceremonial defect may be blameworthy.” Magnalia Christi Americana (The Glorious Works of Christ in America), Vol. II, p. 218, published in 1702. According to the Book of Order, the laying on of hands by members of Session is a mandatory part of the ordination process (the word “shall” is used rather than “may”). The Book of Order has allowed the Session to invite all elders (including those not in active service) to participate in the laying on of hands for a long time, but as far as I can recall, the other elders in our congregation have always exercised this right, whether invited by the session or not. The Book of Order limits the “imposition of hands” to elders and ministers only, so I guess the ordained deacons don’t get to participate. The introit is “Be Still and Know” by J. Jerome Williams. He attended Mars Hill College in Mars Hill, NC, and Appalachian State University in Boone, NC. (I visited Boone, NC, once, during the time John’s daughter Sharon was attending Appalachian State.) J. Jerome Williams taught high school band and was the choir director of the First United Methodist Church in Hickory, North Carolina, for 31 years, retiring in 2007. The opening hymn is the Fred Pratt Green hymn “God Is Here,” No. 461, which he wrote in 1979, but then revised in 1988. 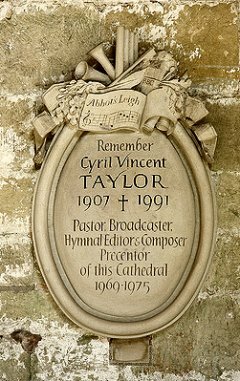 Cyril Vincent Taylor was born in Wigan, Lancaster, England, on 11 Dec 1907 and died 20 Jun 1991 at Petersfield, Hampshire, England. He was the son of an Anglican priest and attended Christ Church College, Oxford. He became the precentor of Bristol Cathedral. During World War II, Taylor was the producer of Religious Broadcasting for the BBC, and he was stationed in Abbot’s Leigh; hence the name of the tune. In 1951, he helped produce and edit the BBC Hymn Book, which was to be used with the Daily Service broadcast by the BBC. As noted in the e-mail from the music director, the choir will probably sing the anthem “We Come Together Here” from One Rehearsal Wonders. The words are by J. Paul Williams and the music by James M. “Jimbo” Stevens. Jimbo Stevens attended Samford University in Birmingham, Alabama. He has a Masters of Church Music from Southern Seminary in Louisville, Kentucky, and a Doctorate of Musical Arts in Composition from the University of Kentucky, Lexington, Kentucky. He is a professor and Chair of the Music Department at Free Will Baptist Bible College, Nashville, Tennessee. (He began teaching there in 2004.) The National Association of Free Will Baptists created the college in 1942 as a two-year institution. It became a three-year college in 1949, and a four-year college in 1950. For economic reasons, the National Free Will Baptists voted to change the name to Welch College in 2012. (They thought the name change would make the college more attractive to potential students.) It is still the flagship college of the Free Will Baptists. In Missouri, we had many kinds of Baptists. My grandmother, Julia Elizabeth (Shannon) Thomas, attended the Pleasant Hill Primitive Baptist church near Mecca, Missouri. (Primitive Baptists were also called Regular Baptists, Old School Baptists, or Hard-shell Baptists). The Primitive Baptists were nearly pure Calvinists. Primitive Baptist and Presbyterians both believe, being Calvinists, that salvation is by God’s grace alone, and not because of a person’s faith or perseverance or any other thing. They believe that the elect were chosen “before the foundations of the world were laid,” and that the truly elect can never renounce their having been elected to salvation. Election is unconditional. If someone is one of the elect, no sin that person may commit after having been baptized can separate that person from God. The “Free Will Baptists,” on the other hand, believe that Christ died for all—not just for a select few, and that any person is free to accept or reject salvation. According to the Free Will Baptists, a Christian can renounce his faith and become unsaved. After the division between Primitive and Free-Will Baptists in the seventeenth century, there was the division between Primitive and Free-Will Baptists and Missionary Baptists in the eighteenth century. In 1814, the Baptist Board of Foreign Missions was formed, which the Primitive Baptists strongly opposed. The Missionary Baptists also believed in Sunday Schools and “aggressive Christian work” generally. No human acts can increase or decrease the number God intends to deliver. That being the case, preaching cannot save a non-believer. Nor can an individual bring about his own salvation by choosing to have faith in the Gospel message. Salvation is by the grace of God alone, and not by faith. Some of the Primitive Baptist churches in my area of the country “were led astray by the ‘Means’ doctrine.” The Means Controversy had to do with preaching. A division arose over the use and the effect of the preached gospel. The "Means" Baptists believed preaching of the gospel was a means of the conversion of sinners. That is, "in the conversion of sinners, God used the preached word as a means or medium through which His Spirit operated to that end." The "Anti-Means" Baptists, on the other hand, strenuously objected to the assertion that "the preaching of the gospel had any power to convert the dead sinner, or to give him life." The Primitive Baptists also do not allow the use of musical instruments during worship. They also believe in unsalaried pastors. Like the Free Will Baptists, some do practice washing feet. All Primitive Baptists believe there are two “ordinances” appointed by Christ for the church: baptism and the Lord’s Supper, but some also believe there is third ordinance, the washing of feet. “Ordinances” are to be administrated only by those who have been given authority by being regularly ordained. The Primitive Baptists are also opposed to Sunday Schools. Religious instruction should take place in every home.
. . . the tendency of modern times has been to belittle the instruction of God’s word, to shun the responsibility of parental teaching and home influence, and to shift that responsibility upon the shoulders of others. Hence, the Sunday school, where children are supposedly taught Christianity on Sundays as they are taught geography or arithmetic on other week days. Primitive or Old School Baptists oppose Sunday Schools in their churches. So did Christ and his apostles. We think them unnecessary since Christ and the apostles established none. There were children in the apostles’ day and these godly men had as much regard for them, loved them as well and knew far better the needs of children than men of modern times. After my grandmother married, she went to her parents’ Primitive Baptist Church south of Mecca only for special occasions. It was nearly five miles away, which is a long buggy ride. We went to the slightly closer Southern Baptist church in Trimble, which did believe in Sunday School (and missionaries and free will, but not foot washing). My grandmother’s niece, Elberta Shannon, was a member of the Mt. Zion Free Will Baptist Church. Southern Baptists are just one denomination of the missionary Baptists. There is a Southern Baptist church in my hometown of Smithville, Missouri, and also an independent Missionary Baptist church. My father was very skeptical of organized religion, which to him seemed to be much more a human institution than a godly one. So after the fourth grade, my parents decided I had received a sufficient amount of religious training and stopped taking me to Sunday School. By that time, I had already concluded myself that most of the things I was being taught in Southern Baptist Sunday School were either silly or dangerous, so I didn’t object. The difficulty of this saying is understanding how salt could lose its flavor since its chemical properties cannot change. The point appears to be that both are impossible. The saying, while admittedly late, suggests that culturally the loss of flavor by salt was regarded as an impossibility. Genuine salt can never lose its flavor. When I was growing up, everyone I knew had a bushel basket lying around somewhere, but I’m not sure whether most kids today would recognize a bushel basket if they saw one. The Epistle Lesson is I Corinthians 2:1-11. It is about the “wisdom of God, hidden in a mystery.” The reading includes a quotation from Isaiah 64:4. There are also some allusions to predestination. Then Paul notes that “no one knows the things of God except the Spirit of God,” and the followers of Jesus have received the Spirit who is from God. One who is spiritual discerns all things. The second hymn is no. 291, “Take My Life and Let It Be.” , written by Frances Ridley Havergal (1836-1879) in 1874. Frances Havergal was a very well-educated woman (she knew both Greek and Hebrew). 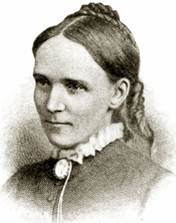 She was described as being “mildly Calvinistic.” She was the daughter of Rev.W. H. Havergal. The tune is HENDON by Henri Abraham César Malan, who was born in Geneva, Switzerland, on 07 Jul 1787. César Malan attended the Geneva Academy and was ordained in 1810. In this period, theological education in Geneva had become “rationalist.” The National Church of Geneva at that time was almost Unitarian; the Trinity had been rejected, and Jesus was no longer seen as divine. The “Company of Pastors” of the Reformed Church in Geneva had grown to consider much of the Bible to be based on ignorance or superstition. He founded an independent church in 1820 which became quite large, but then a large number of the members moved to another independent church. In 1811, he had married the daughter of a Geneva merchant, who bore him twelve children, all of whom survived into adulthood. 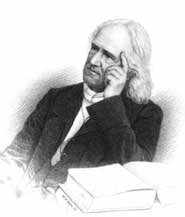 Malan died on 08 May 1864 in Vandoeuvres, Switzerland, and is buried beside his mother. Immediately following the sermon is the Service of Installation. Those to be installed are Ken, B.J., and Janice. I hope everyone brought their tools. or Brian Wren’s hymn, “I Come with Joy,” no. 507. We rarely sing no. 522. It is sung to an Appalachian folk tune, LAND OF REST (https://youtu.be/TzLuMX2l5vs ), a tune which reminds me a bit of AMAZING GRACE. We sing no. 507 quite often. http://youtu.be/w4gaqf5n1v0 “I Come with Joy,” tune from William Walker’s Southern Harmony, 1835. The closing hymn is the African-American spiritual “I’m Gonna Live So God Can Use Me,” no. 369. The arrangement in the hymnal is by Wendell Whalum. The composer and the author of the text are unknown. It hasn’t been a hymn sung often at Old South Haven, but we did sing it on November 13 last year. There are many variations in the performance of this hymn on YouTube, and a very large variation in tempo in the different performances. Here’s a choral version: https://secure.isat-tech.com/www.hopepublishing.com/client/hopePlayer.isx?addItem=2362&HTMLout=1 but you need a band. The arranger, Wendell Phillips Whalum was born in Memphis, Tennessee, on 04 Sep 1931 (the hymnal incorrectly gives 1932 as his birth year). He graduated from Booker T. Washington High School in Memphis and while a youth played music at Avery Chapel A.M.E. Church, Central Baptist, and Providence A.M.E. Church in Memphis. He attended Morehouse College in Atlanta, Georgia, and received a B.A. in 1952. In 1953 he obtained a M.A. at Columbia University, and in 1965, a Ph.D. from the University of Iowa. Dr. Whalum then taught at Morehouse College and was Director of the Morehouse College Glee Club for 34 years. 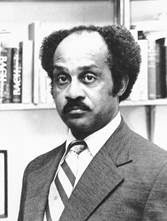 He served as Chair of the Music Department, Director of the Band, and in many other positions at Morehouse, where he chose to remain even though he received much more lucrative offers for employment at other colleges and universities. He was a teacher, organist, conductor, musicologist, arranger, composer, author, and lecturer. He served a number of churches as organist-choirmaster in Atlanta, including Ebenezer Baptist Church. He died in Atlanta on 09 Jun 1987. The prelude is Georg Friedrich Händel’s “Largo.” “Händel’s Largo” is a way of referring to a short aria Händel composed for the opera Xerxes in 1738. The opera did not do well and closed after five performances. The aria, however, was a hit. It is sometimes called “Ombra mai fu” (Italian for “Never was a shade”) because those are the first words of the aria. You can see King Xerxes I (played by a woman, Paula Rasmussen) sing it here. Holy art thou, holy art thou, Lord God Almighty, Holy art thou, holy art thou. Lord God Almighty, who wert and art, who wert and art, and art to come. Holy art thou, holy art thou, Lord God Almighty, Glory and majesty in heaven are thine. Earth lowly bending, swells the full harmony, blessing and glory to the lamb, forevermore. For worthy art thou, worthy art thou; Let all nations and kindreds and peoples give thanks to thee forevermore. Give thanks forevermore; Let all nations and kindreds and peoples give thanks to thee forevermore. The music for the offertory is "Ave Maria" by Jacques Arcadelt. I believe the choir is in Taiwan. Jacques Arcadelt (also called Jacob Arcadelt) lived in both Italy and France. He composed both secular music (madrigals and chansons) and sacred music. He was born about 1507. It isn’t known where, but some believe that he was Flemish and was born in present-day Belgium. When he was a young man, he moved to Florence, Italy. In 1538, he moved to Rome where he was appointed to the papal choir of St. Peter’s Basilica. He next became a member of the Julian Chapel, then of the Sistine Chapel. He published four volumes of madrigals while in Italy. He remained a singer at the Sistine Chapel until 1551. Michelangelo had written some sonnets which Arcadelt set to music, for which Michaelangelo paid him with a piece of satin. In 1551, Arcadelt moved to France where he served as choirmaster for the Cardinal of Lorraine, Charles de Guise. He composed many chansons, motets, and masses. Jacques Arcadelt died 14 October 1568. Some web sites have a painting of a person said to be Jacques Arcadelt, but the image is actually that of Giovanni Pierluigi da Palestrina. The postlude is "Paean Exultant" (1934) by Frederick Stanley Smith. I couldn’t find a biography for Frederick Stanley Smith, so I will have to create one by finding his gravestone on findagrave.com and reading old issues of the Greensboro Daily News. Frederick Stanley Smith was born 21 May 1890 in Chambersburg, Pennsylvania. In May 1924, he was director and accompanist for the Orpheus Mixed Quartet. The Orpheus Mixed Quarter provided an 8:30 p.m. radio program on station WOO, Philadelphia, in the early days of radio. In June 1928, the Greensboro Daily News reported that Prof. Frederick Stanley Smith had been put in charge of all musical activities at Lenoir-Rhyne college in Hickory, North Carolina, and “a complete reorganization of the department of music” was being effected. Oakview Hall was remodeled into a conservatory of music, and the professor was provided with two assistants. In the fall, he played at a series of vesper services at Corinth Reformed Church in Hickory, where chimes had recently been installed in the organ. Dr. Smith was soon designated Dean of the Music Department at Lenoir-Rhyne college. After four years at the college, he resigned to become supervisor of music in the public schools of Southern Pines (where he directed the high school glee club of 33 voices). He was also conductor of the Southern Pines choral society. In 1933, while his family was living in Southern Pines, he was elected dean of the North Carolina chapter of the American Guild of Organists. About 1940, he became supervisor of music in the Raleigh public schools, and the family moved to Raleigh. Mrs. Smith became active in the Book guild. By 1942, Dr. Smith also held the position of organist and choir director at First Baptist church, Raleigh. He formed a Music Club that met regularly and included a composers’ group which he chaired. In addition to composing organ music, he wrote anthems and songs. The Greensboro Daily News reported in 1952 that Dr. Smith was organist and choirmaster at Christ Church in Raleigh. While walking near North Carolina State College in Raleigh, on Thursday, 21 Dec 1961, he was struck by a car. He was taken to Rex Hospital in Raleigh where he died of head and internal injuries. He was 71. Dr. Smith was buried at Rose Hill Cemetery in Hagerstown, Maryland. The parents of his wife, Edith (Hartman) Smith, are buried in the same cemetery. Edith lived to the age of 95, dying on 27 Nov 1993.